On Wednesday, December 3, 2014, following a trial conducted by Judge Lorna G. Schofield in the U.S. District Court for the Southern District of New York, a jury found Charles H. Greenthal Management and 800 Grand Concourse Owners, Inc. in violation of state and federal law. Defendants discriminated against Richard A. Fields due to his disability and retaliated against him when he engaged in protected conduct. 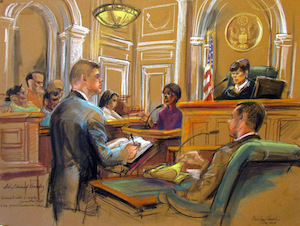 Mr. Fields testified that he had been employed by Defendants since 1995 and that despite providing notes from his doctor and frequently requesting the accommodation of more frequent restroom breaks and a regular schedule to manage his hypertension, his employers failed to accommodate him, denied him restroom breaks, threatened him with demotion, and subjected him to disciplinary action following his requests. Following two days of testimony, the Jury found that defendants had intentionally engaged in discriminatory actions with malice or reckless indifference to Mr. Field’s rights under the federal law and awarded Mr. Fields $100,000.00 in emotional damages and an additional $150,000.00 in punitive damages. An attorney fee application is presently outstanding. Phillips & Associates, PPLC is New York City and Tri-State area law firm that specializes in serving victims of workplace discrimination. The firm has an extensive history successfully representing clients who were harassed due to gender, national origin, disability, religion, and other traits that are protected under federal law.